– Needle Length: 16 mm, 1/2 Circle round bodied, Gauge USP: 3/0, Length: 75 cm. 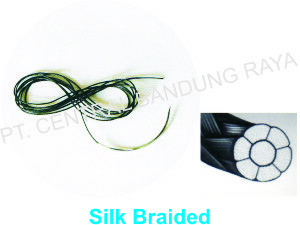 – Needle Length: 25 mm, 3/8 Circle curved cutting, Gauge USP: 2/0, Length: 75 cm. – Without needle, Gauge USP: 5/0, Length: 150 cm. – Without needle, Gauge USP: 4/0, Length: 150 cm. – Without needle, Gauge USP: 3/0, Length: 150 cm. – Without needle, Gauge USP: 2/0, Length: 150 cm. – Without needle, Gauge USP: 1/0, Length: 150 cm. – Without needle, Gauge USP: 1, Length: 150 cm. – Without needle, Gauge USP: 2, Length: 150 cm. – Needle Length: 6 mm, 1/2 Circle round bodied, Gauge USP: 8/0, Length: 45 cm. – Needle Length: 6.5 mm, 3/8 Circle micro-point spatula curved double, Gauge USP: 8/0, Length: 45 cm. – Needle Length: 8 mm, 1/2 Circle round bodied, Gauge USP: 8/0, Length: 45 cm. – Needle Length: 8 mm, 1/2 Circle round bodied, Gauge USP: 7/0, Length: 45 cm. – Needle Length: 6.5 mm, 3/8 Circle micro-point spatula curved double, Gauge USP: 10/0, Length: 45 cm. – Needle Length: 6.5 mm, 3/8 Circle micro-point spatula curved double, Gauge USP: 9/0, Length: 45 cm. – Needle Length: 12 mm, 3/8 Circle reverse cutting, Gauge USP: 5/0, Length: 60 cm. – Needle Length: 12 mm, 3/8 Circle reverse cutting, Gauge USP: 4/0, Length: 70 cm. – Needle Length: 16 mm, 3/8 Circle reverse cutting, Gauge USP: 5/0, Length: 60 cm. – Needle Length: 16 mm, 3/8 Circle reverse cutting, Gauge USP: 4/0, Length: 70 cm. – Needle Length: 16 mm, 3/8 Circle reverse cutting, Gauge USP: 3/0, Length: 75 cm. – Needle Length: 19 mm, 3/8 Circle reverse cutting, Gauge USP: 4/0, Length: 70 cm. – Needle Length: 19 mm, 3/8 Circle reverse cutting, Gauge USP: 3/0, Length: 75 cm. – Needle Length: 24 mm, 3/8 Circle reverse cutting, Gauge USP: 3/0, Length: 75 cm. – Needle Length: 20 mm, 3/8 Circle reverse cutting, Gauge USP: 2/0, Length: 75 cm. – Needle Length: 22 mm, 1/2 Circle curved cutting, Gauge USP: 3/0, Length: 75 cm. – Needle Length: 40 mm, 1/2 Circle round bodied, Gauge USP: 1, Length: 75 cm. 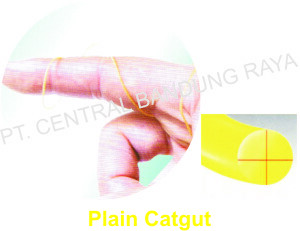 – Needle Length: 40 mm, 1/2 Circle round bodied, Gauge USP: 2, Length: 75 cm. – Needle Length: 22 mm, 1/2 Circle curved cutting, Gauge USP: 2/0, Length: 75 cm. – Needle Length: 37 mm, 1/2 Circle round bodied, Gauge USP: 2/0, Length: 75 cm. – Needle Length: 45 mm, 1/2 Circle round bodied, Gauge USP: 1, Length: 75 cm. 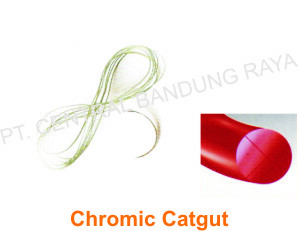 – Needle Length: 48 mm, 1/2 Circle round bodied, Gauge USP: 2, Length: 75 cm. – Needle Length: 6.5 mm, 3/8 Circle micro-point spatula curved double, Gauge USP: 8/0, Length: 30 cm. – Needle Length: 8 mm, 1/2 Circle round bodies, Gauge USP: 8/0, Length: 45 cm. – Needle Length: 8 mm, 1/2 Circle reverse cutting double, Gauge USP: 8/0, Length: 45 cm. – Needle Length: 8 mm, 3/8 Circle micro-point spatula curved double, Gauge USP: 6/0, Length: 45 cm. – Needle Length: 8.5 mm, 1/4 Circle micro-point spatula curved double, Gauge USP: 7/0, Length: 45 cm. – Needle Length: 16 mm, 3/8 Circle round bodies, Gauge USP: 5/0, Length: 60 cm. – Needle Length: 16 mm, 3/8 Circle round bodies, Gauge USP: 4/0, Length: 60 cm. – Needle Length: 16 mm, 3/8 Circle round bodies, Gauge USP: 3/0, Length: 70 cm. – Needle Length: 16 mm, 3/8 Circle round bodies, Gauge USP: 2/0, Length: 75 cm. – Needle Length: 18 mm, 3/8 Circle round bodies, Gauge USP: 2/0, Length: 75 cm. – Needle Length: 18 mm, 1/2 Circle round bodies, Gauge USP: 5/0, Length: 60 cm. – Needle Length: 18 mm, 1/2 Circle round bodies, Gauge USP: 4/0, Length: 60 cm. – Needle Length: 19 mm, 3/8 Circle reverse cutting, Gauge USP: 2/0, Length: 75 cm. – Needle Length: 20 mm, 1/2 Circle reverse cutting, Gauge USP: 4/0, Length: 70 cm. 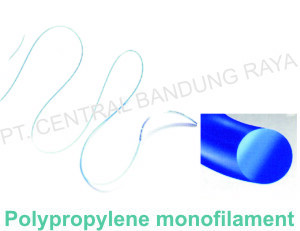 – Needle Length: 35 mm, 1/2 Circle blunt taper point, Gauge USP: 1, Length: 75 cm. 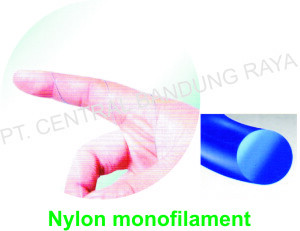 – Needle Length: 37 mm, 1/2 Circle round bodies, Gauge USP: 2/0, Length: 75 cm. 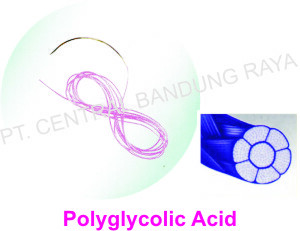 – Needle Length: 48 mm, 1/2 Circle round bodies, Gauge USP: 1, Length: 75 cm.